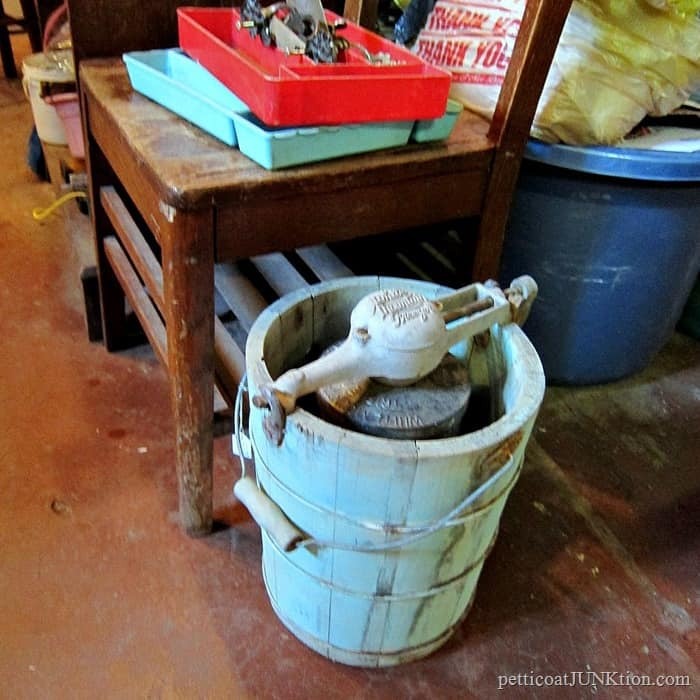 I have a thing for wood bucket ice cream freezers especially the old timey vintage hand crank freezers. I found a good one at the junk shop for $15. This ice cream freezer is the White Mountain brand. The pale turquoisy color was originally a darker blue green. At least that’s what I see when I research (Google) the freezer. It was made in the 1920’s/30’s. The photo doesn’t do the wood bucket justice. When I get home from Arkansas I’ll take a better photo and post it for you guys. I had a smaller green ice cream freezer a few years ago but sold it as I tend to do when things have been around for a while. I kind of wish I hadn’t sold it. But now I have another one. 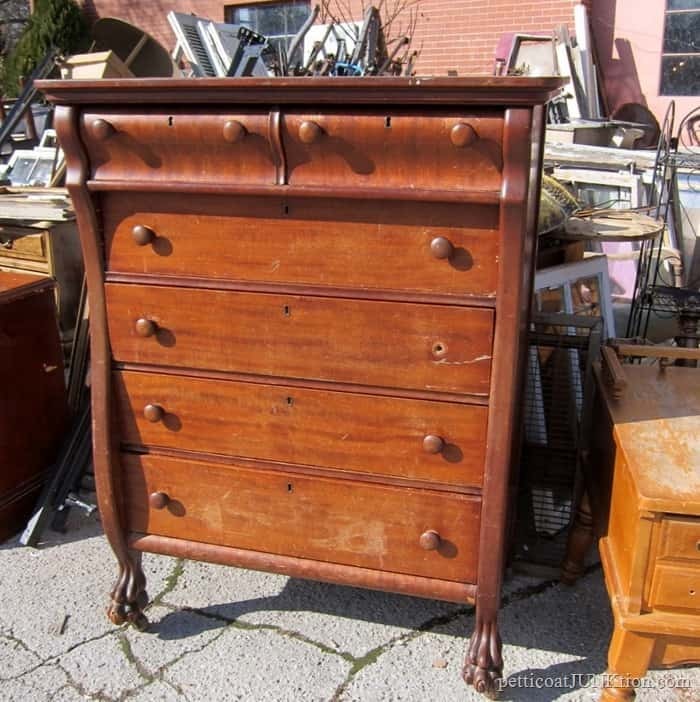 I couldn’t pass up this dresser which looks like a nursery changing table. The price was $20. The drawer fronts have a slight curvature that may not be noticeable from the photo. 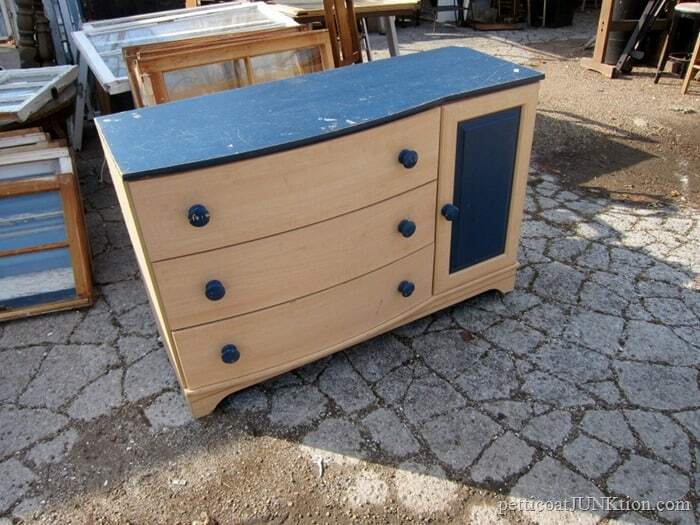 The reason I wasn’t impressed with the piece is because the dresser is made of mdf. I normally bypass fake wood furniture but as nursery furniture it will sell fast. Not all buyers are not looking for real wood furniture. My question is what color to paint it? The best color is probably a neutral like the gray dresser above. And gray is a popular color. It would work well for baby boy or baby girl. In fact for a girly nursery gray and pink are lovely together. Or, I could go all out girl. The coraly pink color above has me smiling. The gold contrasting drawer knobs are perfect. Simple white is always good for baby’s room. I like this makeover though because of the hardware. It really pops against the white. If I go with white I’m going bold with the knobs. 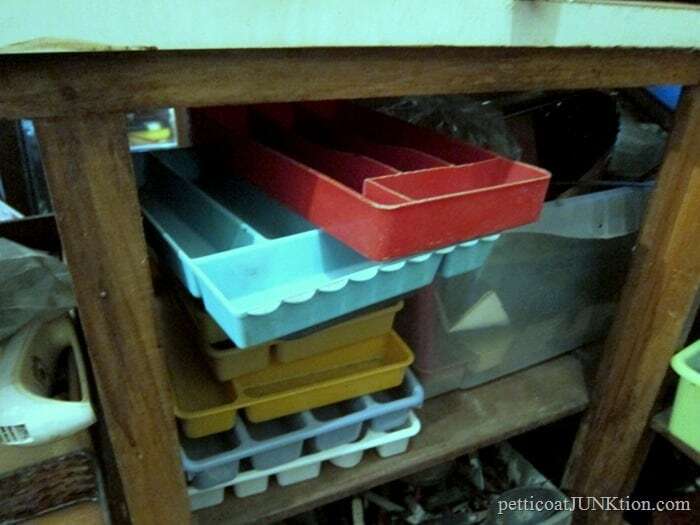 I also bought two flatware drawer trays. The turquoise was definitely calling my name. I thought it was vintage but will have to look at it more closely, may not be. The red one is all scratched up but after a little TLC I think it will look better.. 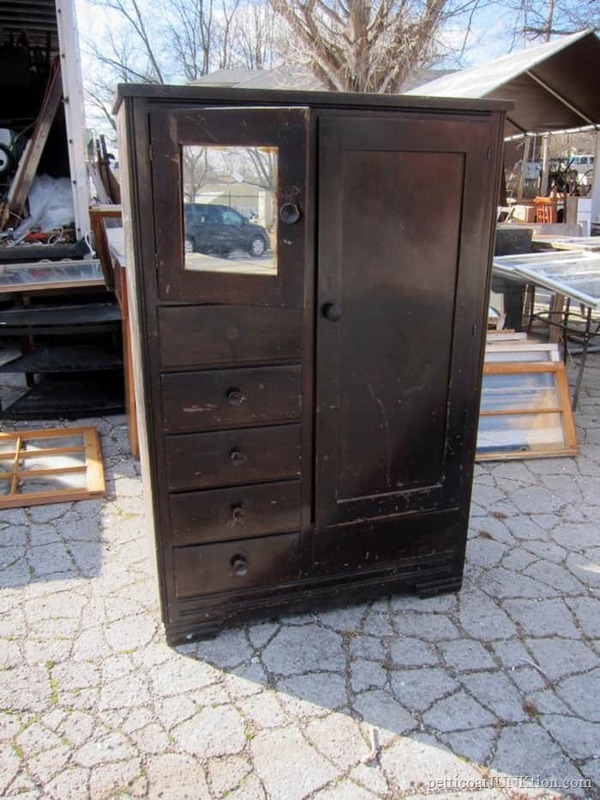 I didn’t buy this antique chest. The price was over $100 if I remember correctly. Look at the claw feet. Gorgeous. I would paint it if I bought it. I would get flack for painting it. Ha, but you guys know I don’t care about that. I passed up the wardrobe too. Seventy five dollars was a bit much. 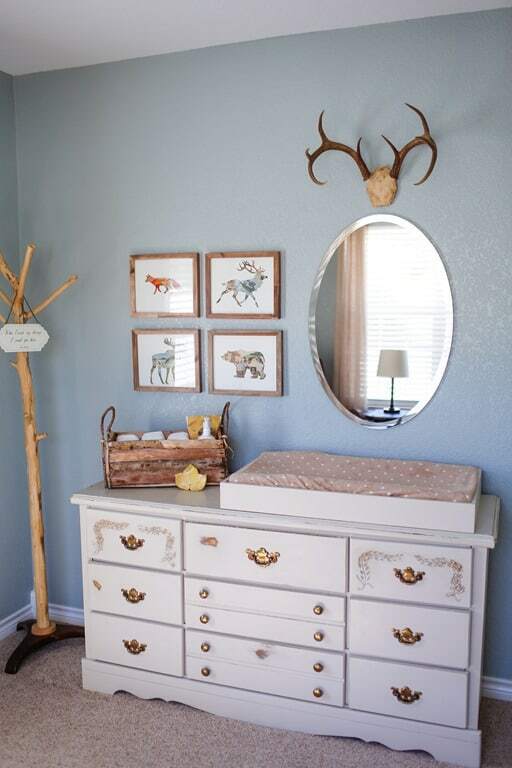 I chose the dresser/nursery piece over the wardrobe because I feel it will be a better seller. A pair of end tables I didn’t buy. This style is out. It’s good to have a pair of anything but not in this case. 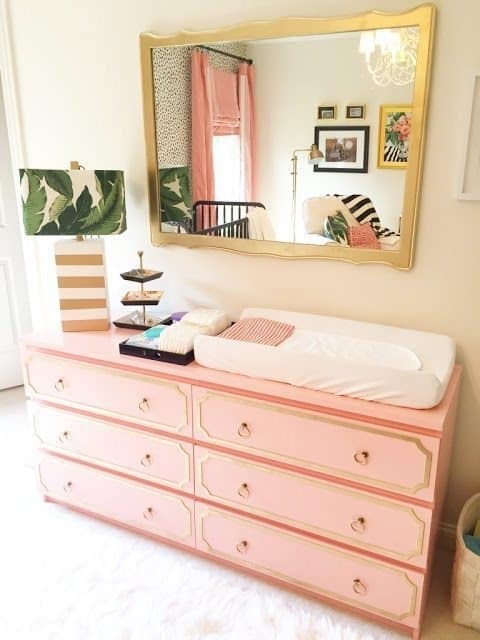 So what color do you think I should paint the dresser (nursery piece)? I’m open to any and all suggestions because right now I don’t have a plan. 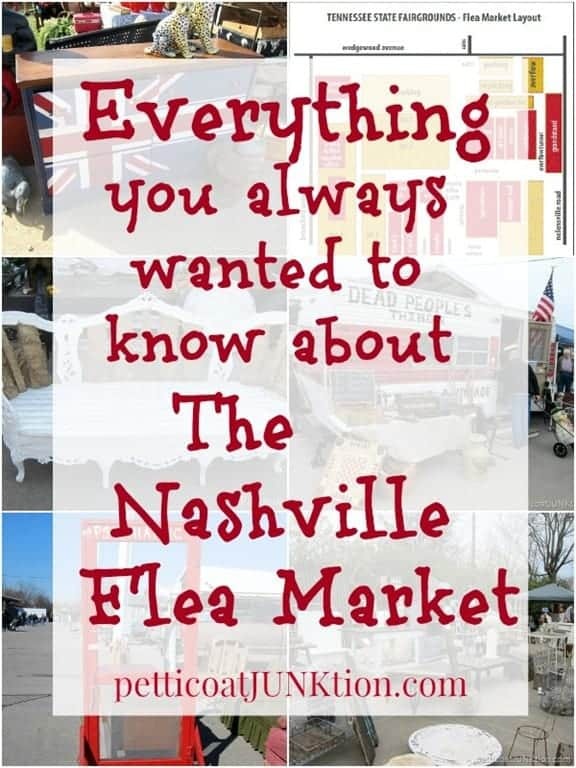 I’m hoping to start on it when I return home from Arkansas. I miss being in the workshop. The JTS drove back to Arkansas yesterday to pick me up. Dad will be fine in the nursing home while he does his rehab. My sister and brother live close to my parents and they are always seeing about them. I’m sure my Dad wishes I would stay because I spoil him. That’s one reason I’m going back home. He will get well faster if he has to do some things for himself. It’s not like the girls at the nursing home won’t be spoiling him. The staff and the nursing home residents have become like family since Mom entered the nursing home last year. the pics of the other dressers had details you could glam out, but not this one. Unless you want to ear-mark that dresser for either a boy or girl I would paint it white or grey. 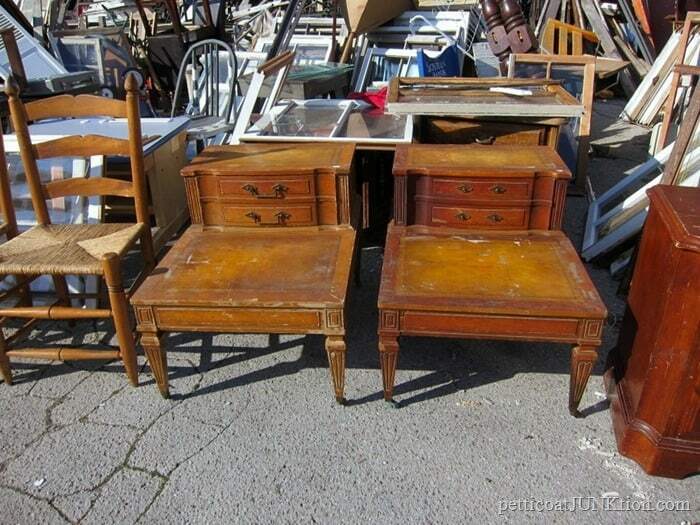 I like either one for a changing table. Will be interested to see what you decide. You have enough pieces to definitely keep you busy a while. Looking forward to seeing changed items! 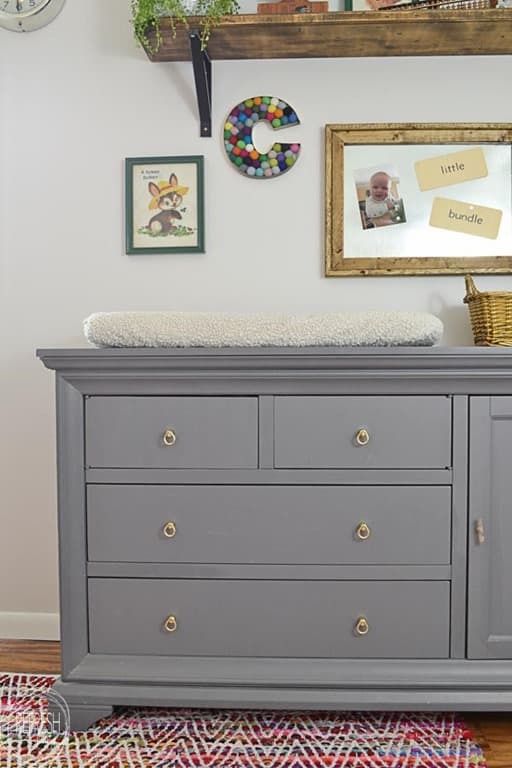 i love the simplicity of the grey change table; whatever you choose I look forward to seeing the finished job. Hi, I found just the crank part of the ice cream freezer like yours and just had to buy it as well! I just loved the quirky look of it. ill probably never find the wooden pail but I’m “ready” for it lol! I made a lamp out of my ice cream freezer. Love, love it! Glad to hear you are satisfied with leaving your Daddy. He will be fine and you have been so kind to do all you have. I’ll keep all in my prayers.